Analysis from the Institute for Fiscal Studies says per-pupil spending in England’s schools has fallen by 8% since 2010. A survey earlier in the year by the National Foundation for Educational Research found that 41% of schools had made cuts to IT budgets as a result of difficult times. However, Techbuyer has helped over 100 customers in the education sector use an analytical approach to work budgetary miracles. Our recent article in University Business showed how University of Cambridge Network Services minimised their networking budget with third-party transceivers, which resulted in an 80%–90% saving on the branded alternative. As transceivers account for 10%–15% of enterprises’ network capital spending, the overall cost saving was significant. This is one benefit of third-party components; another is their ability to extend the life of core systems. One Scottish customer looking to upgrade their Cisco system found the replacement switches were no longer available through the supplier. Faced with the possibility of spending thousands on an entire new system, they looked to leading supplier Techbuyer for an alternative. They found a third-party switch that flashed with the core system with no conflict. Not only did this save around 40% on the component parts, it also avoided an outlay of tens of thousands on a new network. A survey earlier in the year by the National Foundation for Educational Research found that 41% of schools had made cuts to IT budgets as a result of difficult times. A similar approach was taken by an academy in Bristol, who used a combination of new and refurbished parts to upgrade its server systems. 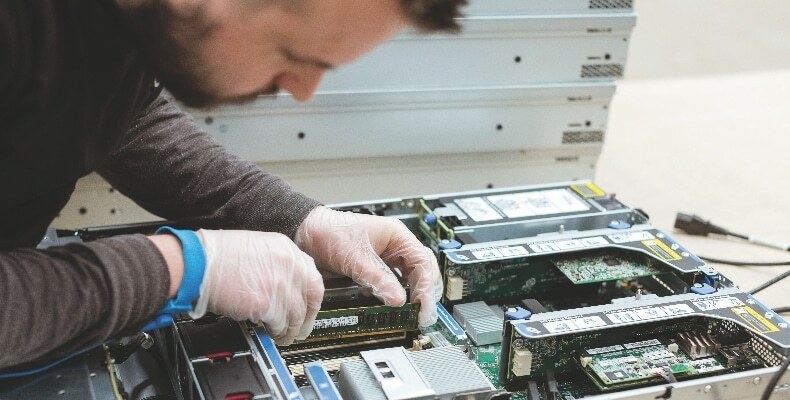 The key to the approach was to repurpose existing servers into new areas, virtualise, and install new and refurbished parts according to the environment. The cost savings were huge, and component level upgrades minimised disruption of a complete change out. Other schools have gone down the route of buying completely refurbished server systems to add to their server rooms. One large primary school in Kent was spending an increasing amount on cloud storage because of new devices uploaded onto the network. Two refurbished servers provided terabytes of low-cost storage and allowed in-house hosting of the school website and an internal helpdesk. The refurbished machines represented a 50% saving compared to new and came with a manufacturer-comparable three-year warranty. IT managers in the education sector are finding there is not just money to be saved by going to the secondary market, there is money to be made too. Techbuyer alone has paid over £65,000 to more than 50 schools up and down the country this year to purchase redundant IT equipment. All storage devices were wiped according to the highest security standards with military-standard data erasure software which is GDPR compliant. It is a secure and ethical way to dispose of hardware, and a great way to boost the budget and fuel the circular economy. To find out how Techbuyer can help you reduce your IT spend, visit www.techbuyer.com, email sales@techbuyer.com or call 01423 789120.